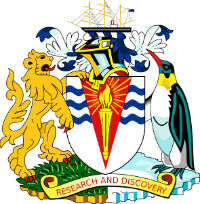 The British Antarctic Territory (BAT) is a UK Overseas Territory and is administered in London by staff in the Polar Regions Department of the Foreign and Commonwealth Office. The Government of the Territory has its own legislative framework and makes a range of legal and administrative appointments. The BAT Government also has an advisory body on Place-Names and operates four Post Offices. The BAT has no indigenous population and presence in the Territory is provided by the British Antarctic Survey (BAS), who operate three scientific stations and the United Kingdom Antarctic Heritage Trust (UKAHT), who manage the historical base at Port Lockroy.